An inspiring book grounded in reality with case studies of companies that have been successful in building a frugal innovation engine. Consumers in developing economies have always wanted "more and better for less", and this demand is only increasing. Several economic changes have made frugal living and consumption a new way of life for people. Authors Navi Radjou and Jaideep Prabhu identify these high-impact macro changes and how they are forcing companies globally to change so that they can deliver the best-in-class, affordable, sustainable, and high-quality products and services with the use of minimal resources and in less time. 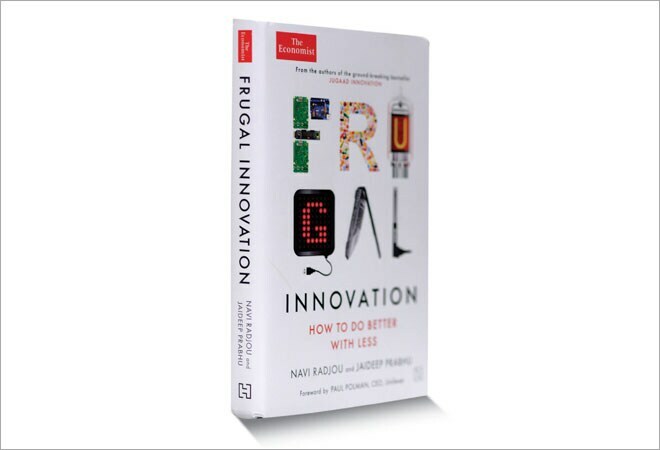 Featuring over 50 compelling case studies, Frugal Innovation: How to do Better with Less identifies the philosophy, principles and techniques behind frugal innovation, which, if adapted in the right way, can help companies become global leaders. The best practices are drawn from studies of early adaptors of frugal innovation in the US, Europe and Japan across sectors, including healthcare, financial, retail, manufacturing and education. Starting with how socioeconomic factors in the developed world have given rise to western consumers to embrace frugal thinking, the authors explain how companies have adopted six principles - engage and iterate, flex your assets, create sustainable solutions, shape customer behaviour, co-create value with prosumers, and making innovative friends - to achieve significant gains in cost-efficiency, speed and agility and to rebuild their innovation engine. The importance of fostering a frugal innovation culture, and how companies are laying the foundation for this and rewriting the game has also been very well elicited. The first principle of 'engage and iterate' explains how innovation requires R&D to move away from an insular way of working to an approach which involves intense customer interaction - observing customer behaviour in their natural environment and then going back and forth between the drawing board and the customer to refine the design. The second principle of 'flex your assets' describes the trend towards mass customisation and how through new tools and approaches such as social manufacturing and continuous production, the operations managers can extract more from production, logistics and services, and the whole value chain supporting it. The third principle of 'creating sustainable solutions' brings out the way customers are making their choices to buy a new product or service, and how companies are implementing practices like 'cradle-to-cradle'. The fourth principle of 'shaping customer behaviour' gives the marketing manager new insights on how to tailor and position frugal products and services to improve brand loyalty, improve market share and make consumers feel really good when consuming less. 'Co-create with prosumers', the fifth principle, describes how co-creation and crowdsourcing can help harness the collective wisdom and skills of consumer communities, and the mindset shift required from R&D and marketing managers to be on top of this. The sixth principle, 'making innovative friends' brings out the strong need in the new flat world, for R&D to be highly networked, lean and flexible, and how companies can leverage the ecosystem to make this happen. This is an inspiring book which is grounded in reality, and a must read for all. The case studies from a diverse set of companies which have been successful in doing 'better with less' can trigger new thoughts and ideas to build a frugal innovation engine, which can help companies in India to become global leaders of products and services.